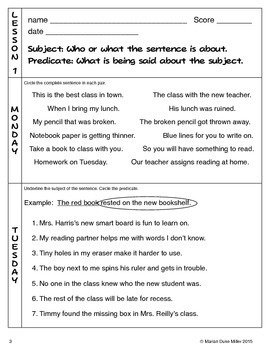 Quick Daily Writing Practice Worksheets for Third Grade Prep for STAAR Sale! If you are like me, you find that instructional time in your classroom is at a premium. Writing is one of those subjects that gets forgotten when time is an issue. Also, we know grading writing takes a lot of time as well. 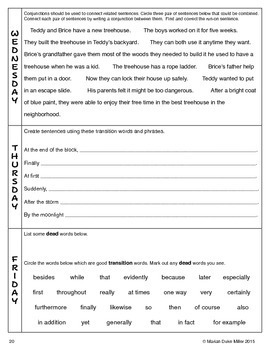 I designed these worksheets with all of these problems in mind. 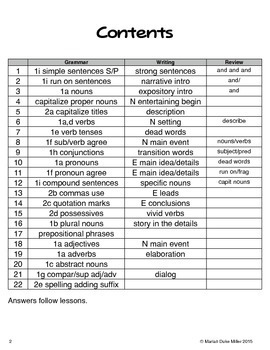 This document contains 22 weekly lessons for practice with with writing skills and grammar. Lessons are short and to the point, but you can always add to them if you have more time. 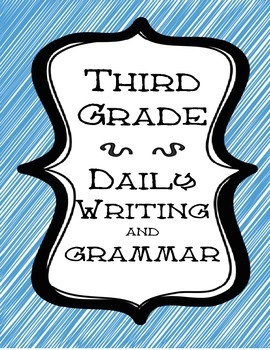 I have found that these daily lessons take anywhere from ten to thirty minutes a day, depending on how much instruction and how much writing there is to do. Lessons are flexible and can be done as whole class, with partners, or individually. 15	2c quotation marks	E conclusions	compound sent.